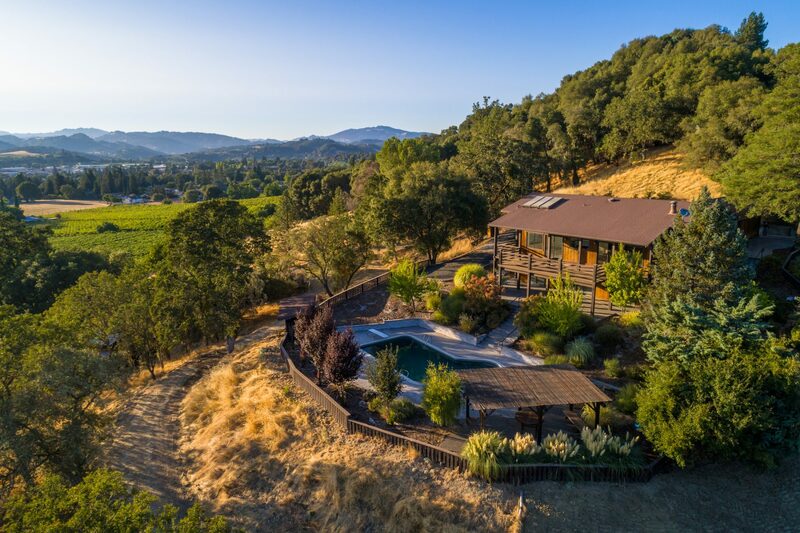 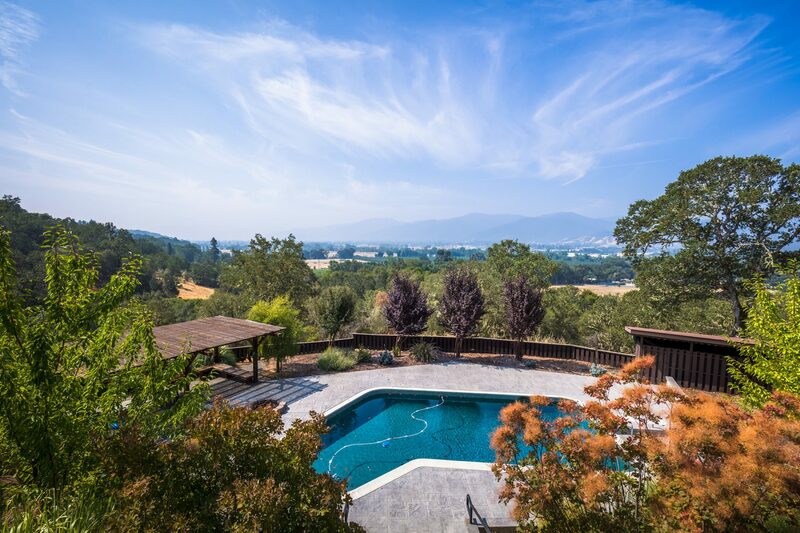 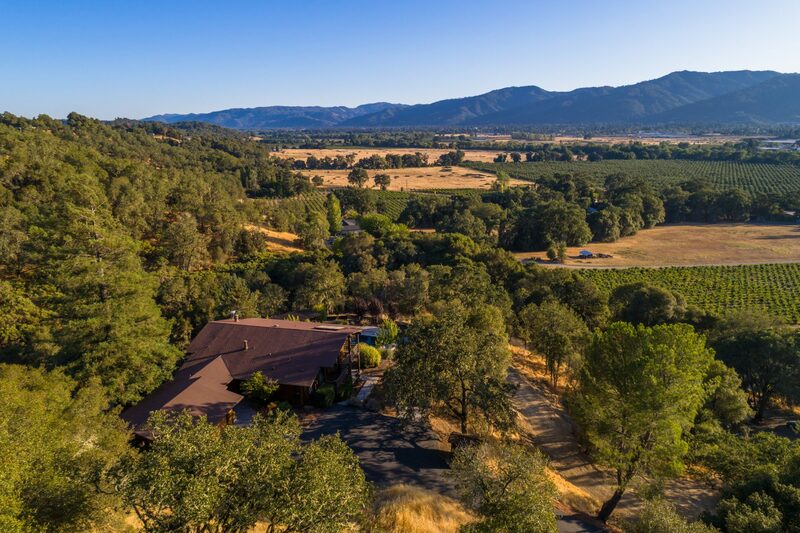 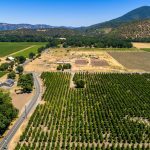 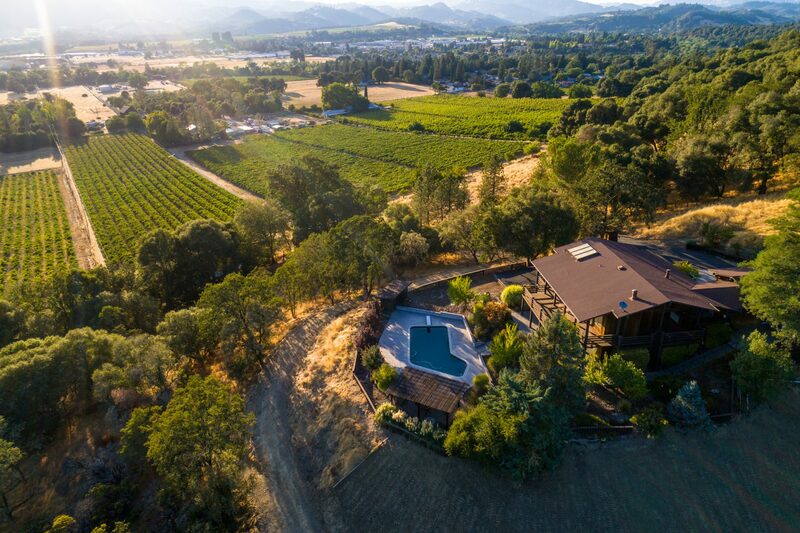 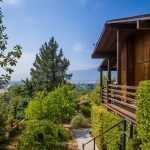 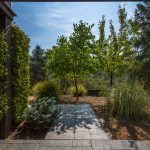 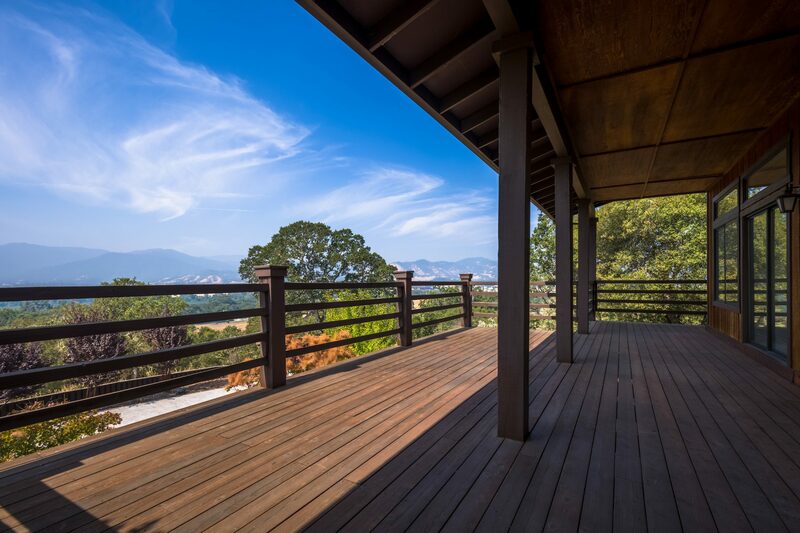 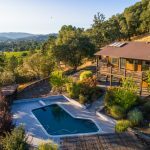 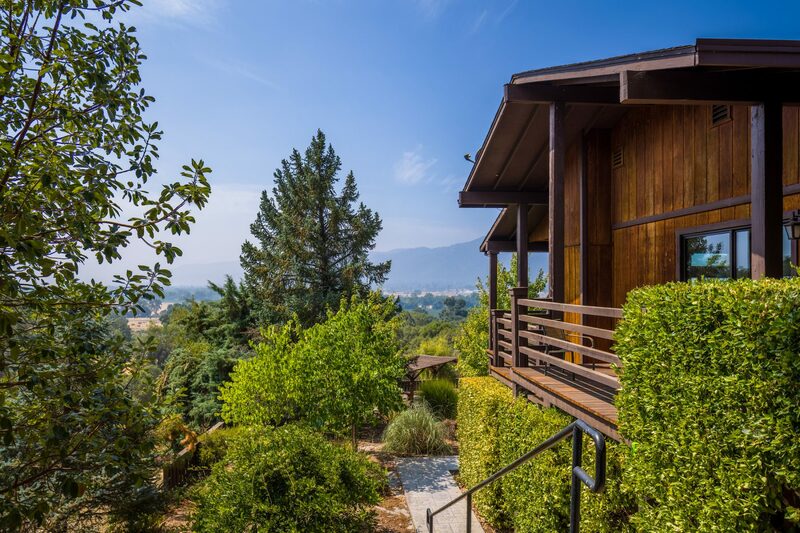 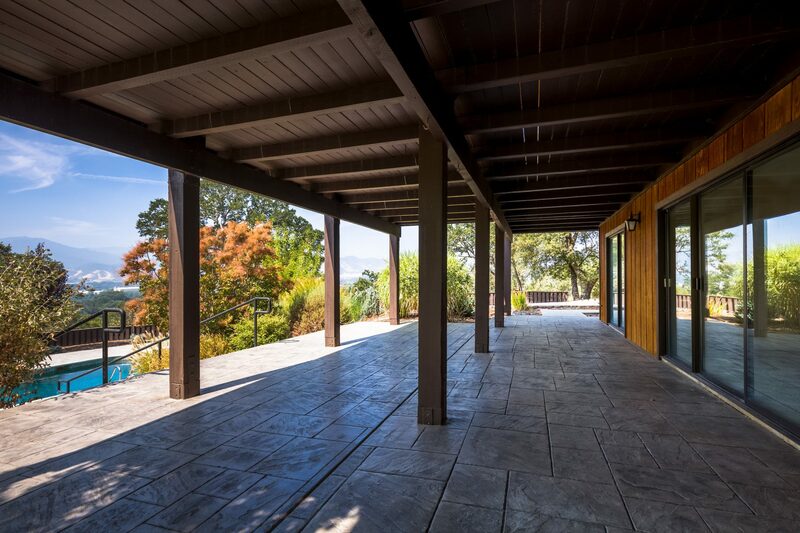 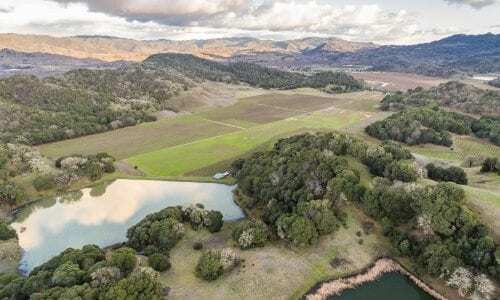 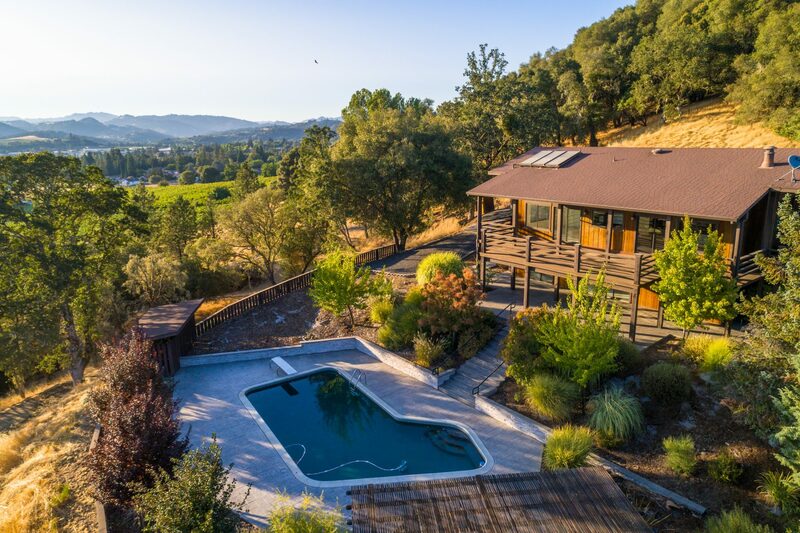 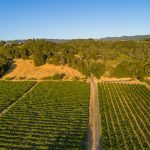 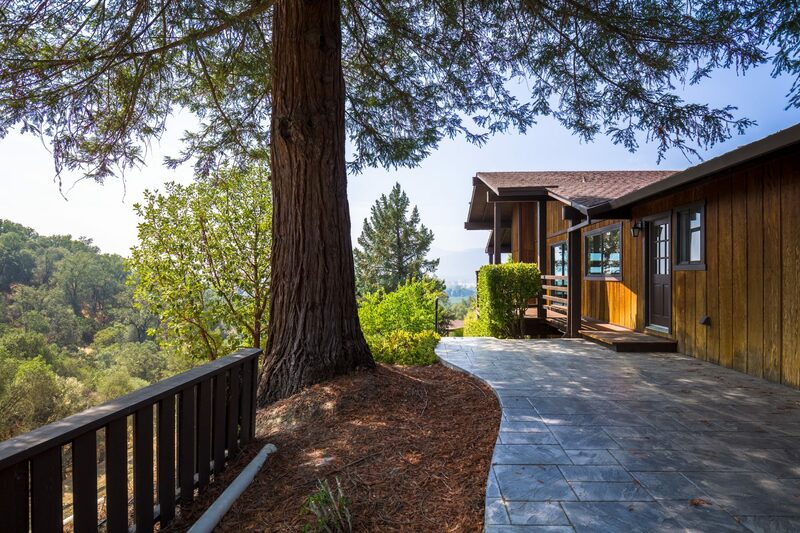 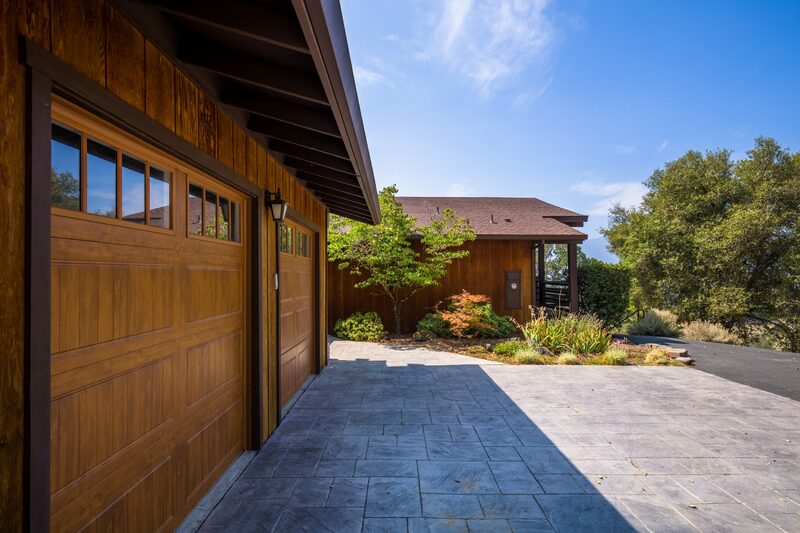 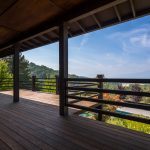 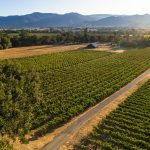 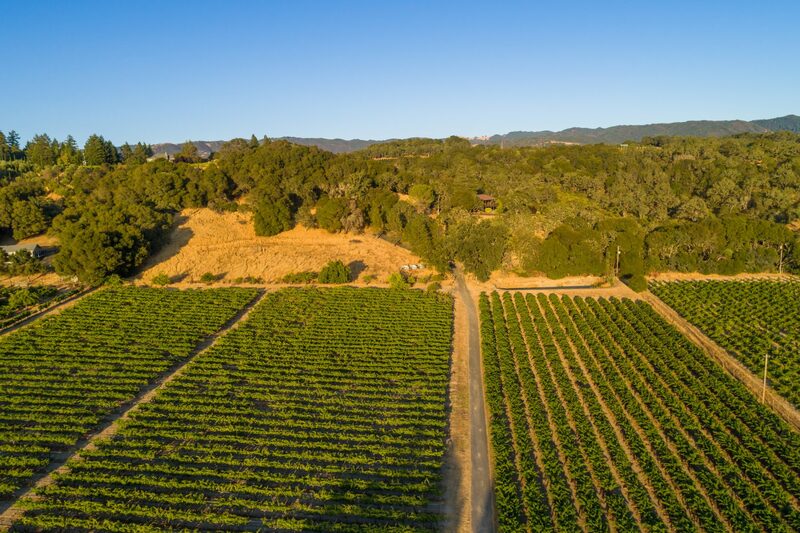 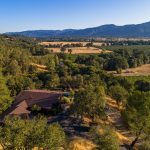 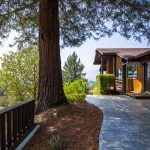 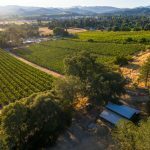 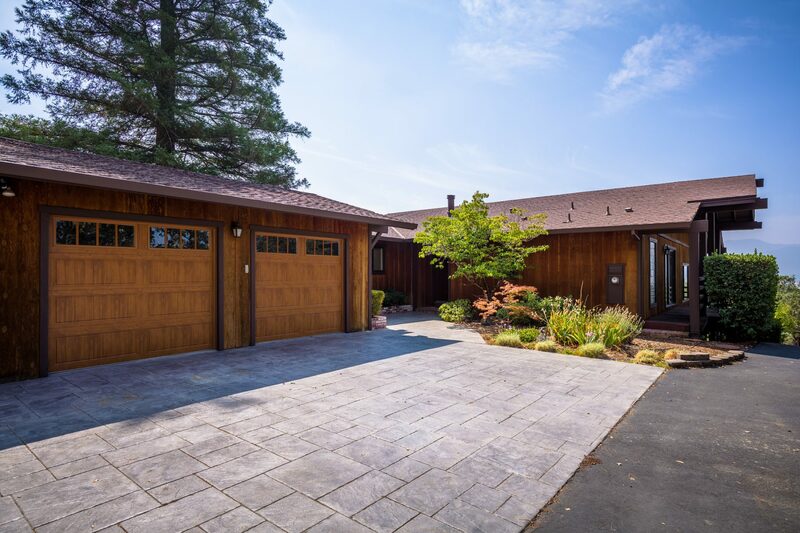 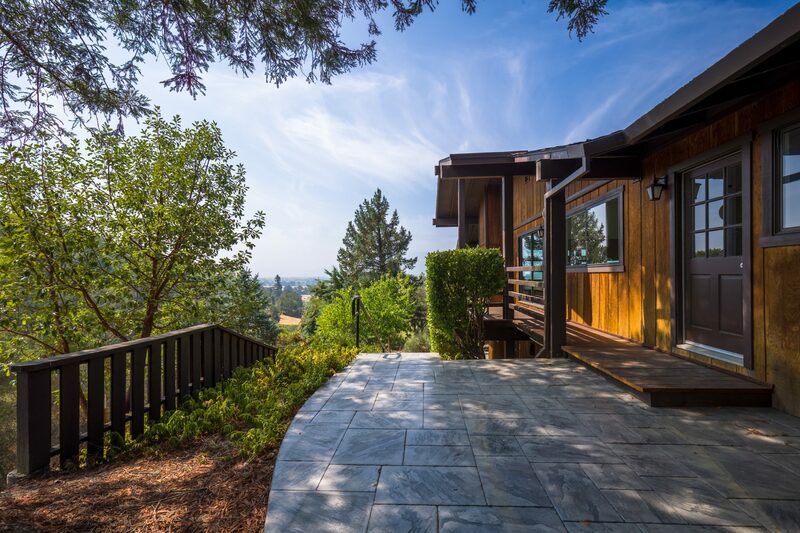 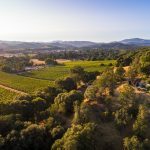 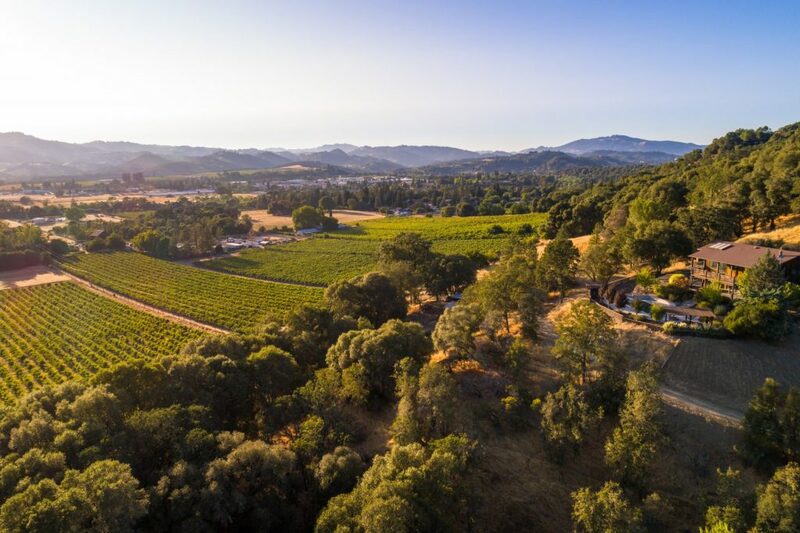 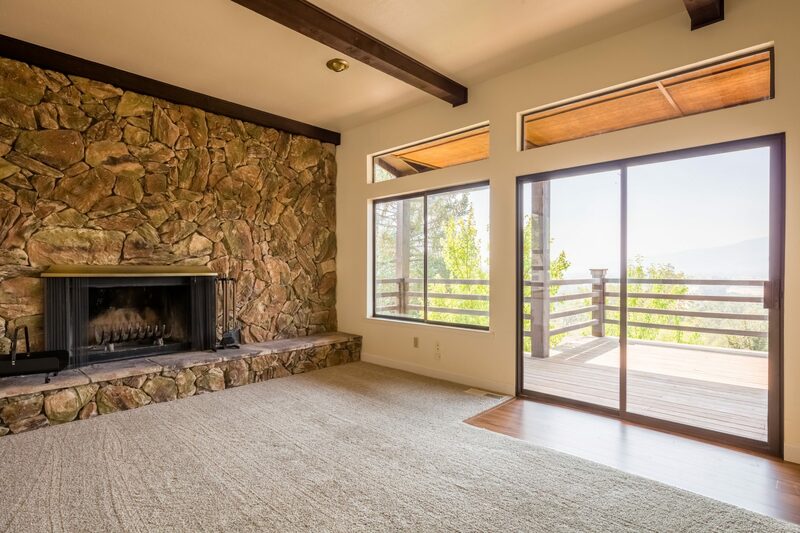 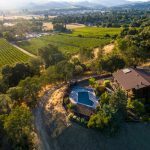 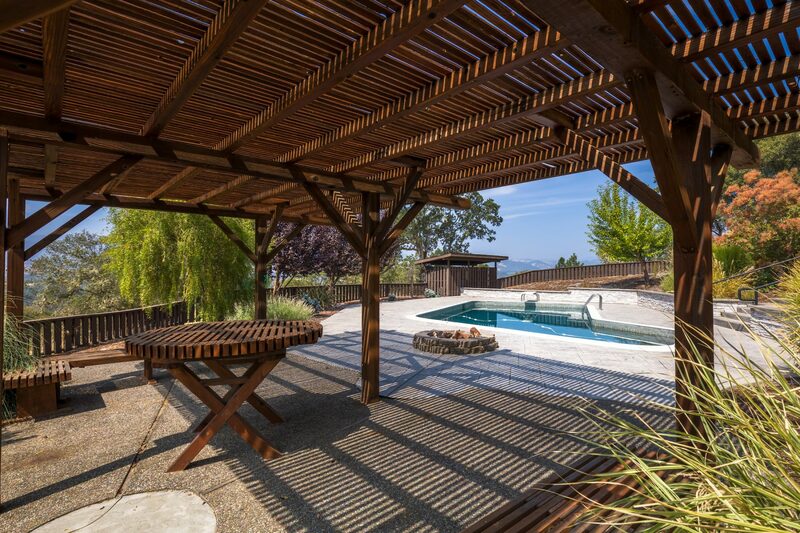 Approximately 8.5 acres of bench ground income producing Cabernet Sauvignon and Zinfandel varietal wine grapes line the private driveway that guides you to the 2,500+/- square foot home set atop a ridge overlooking the Ukiah Valley. 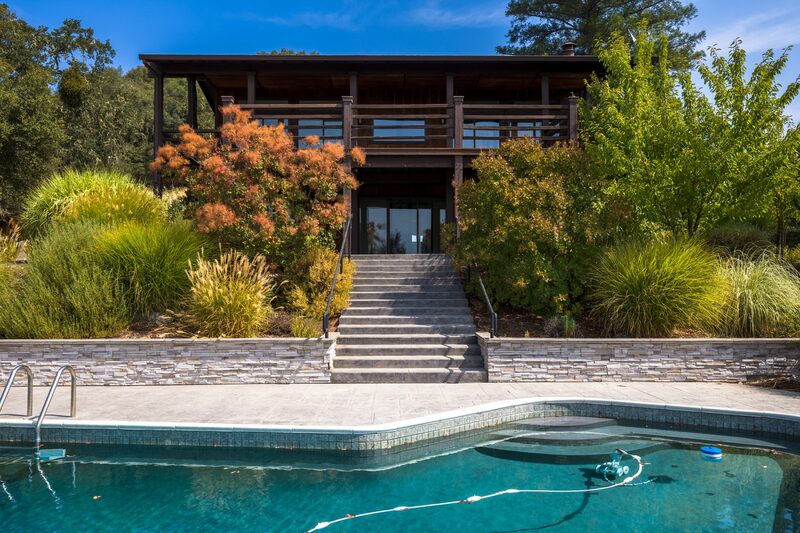 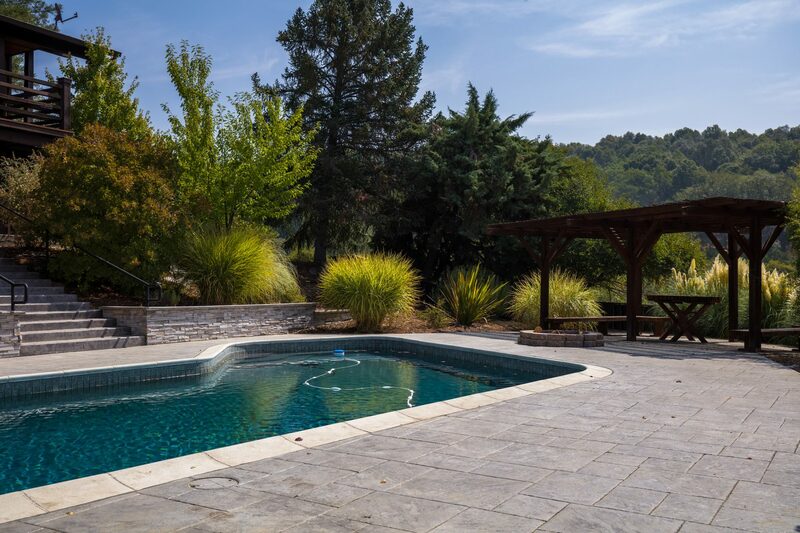 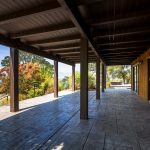 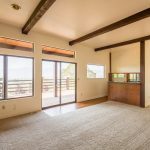 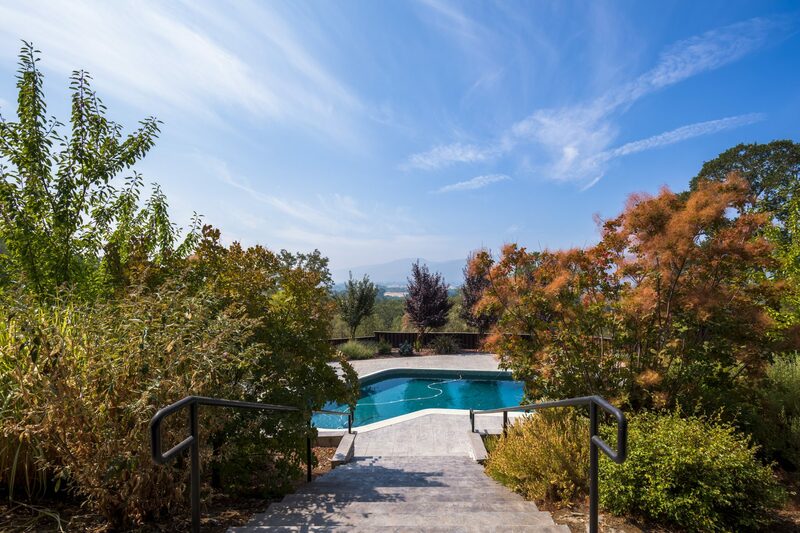 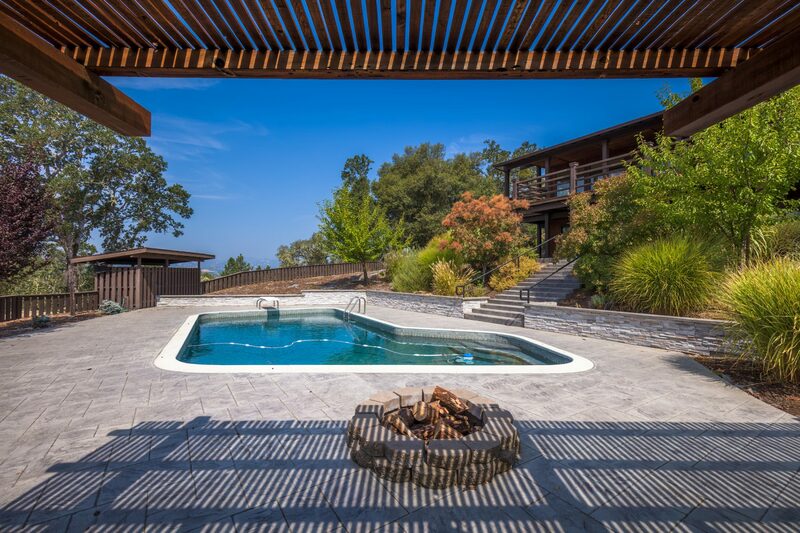 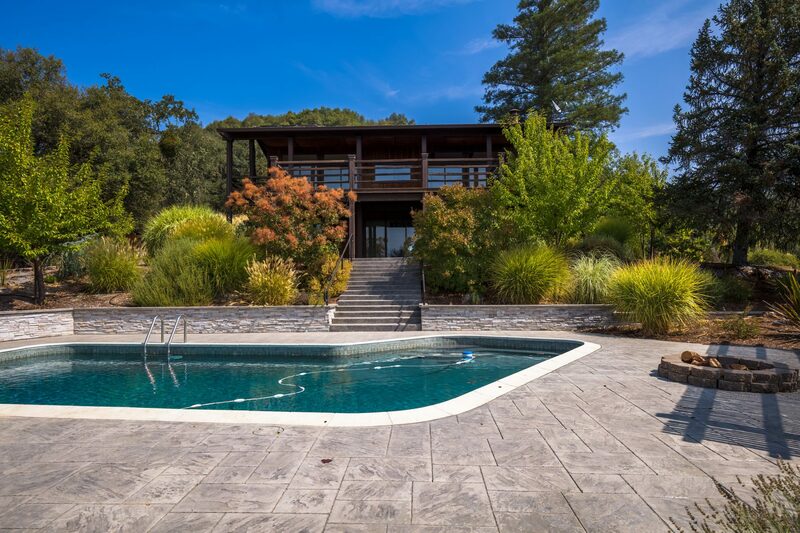 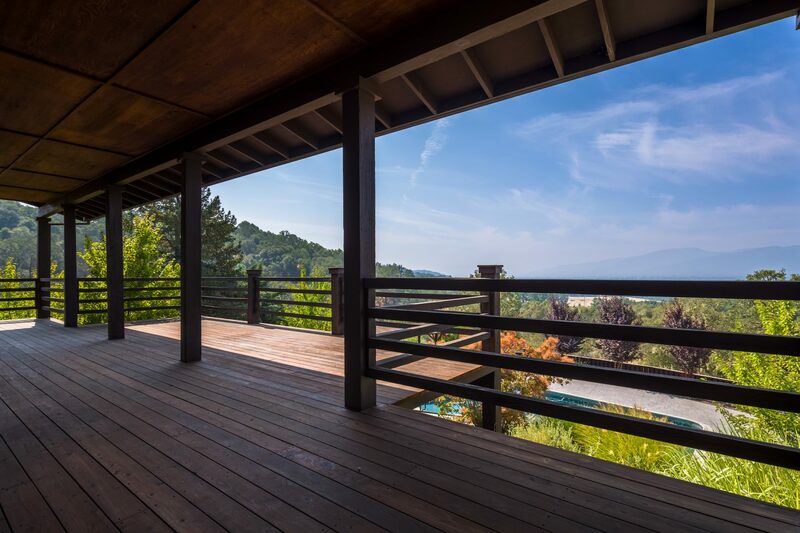 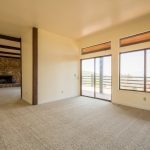 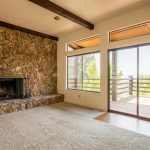 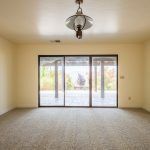 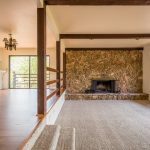 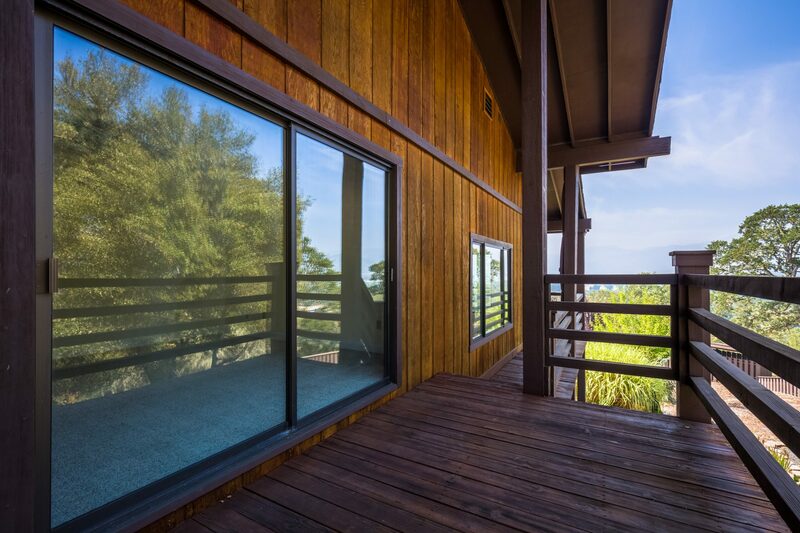 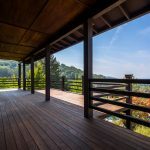 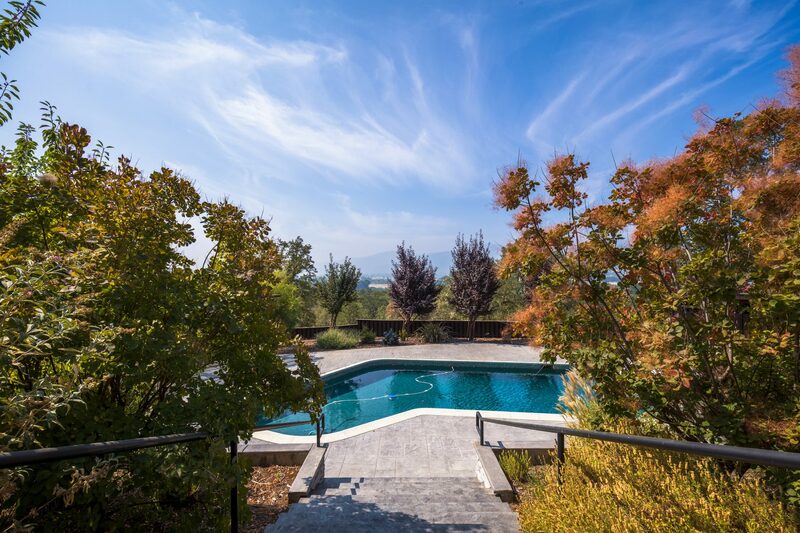 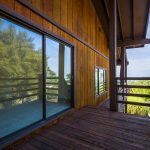 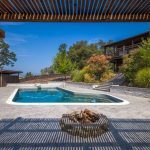 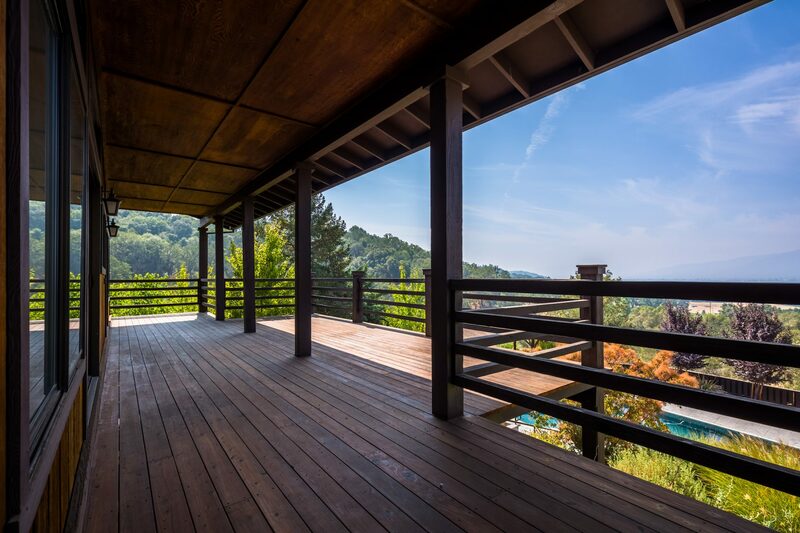 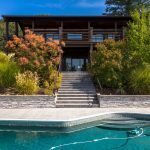 Expansive decking and custom concrete work surround the knoll top residence and beautiful pool area providing a special place for outdoor entertainment and relaxation on 25+ total acres. 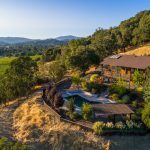 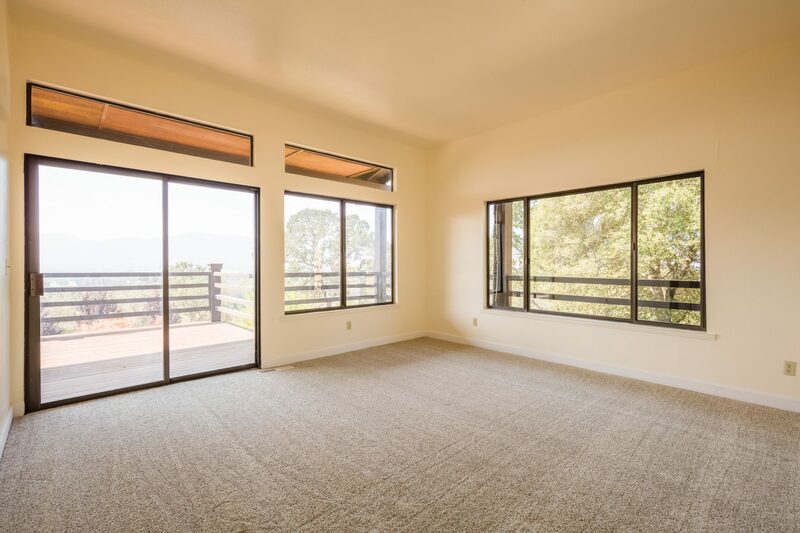 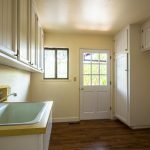 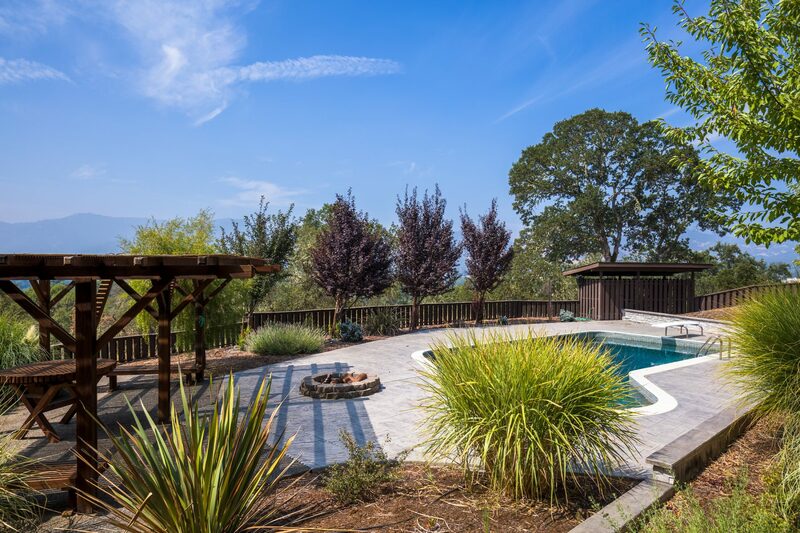 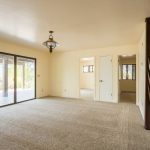 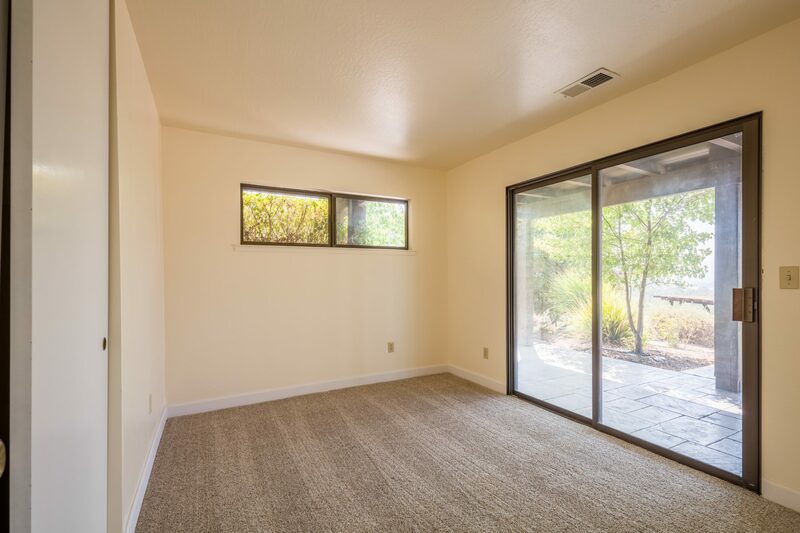 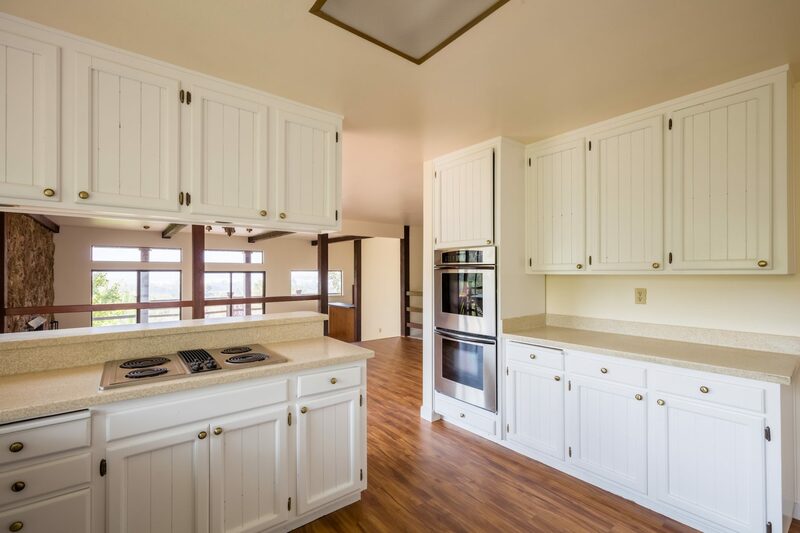 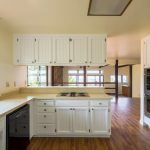 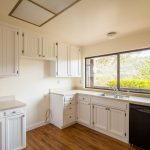 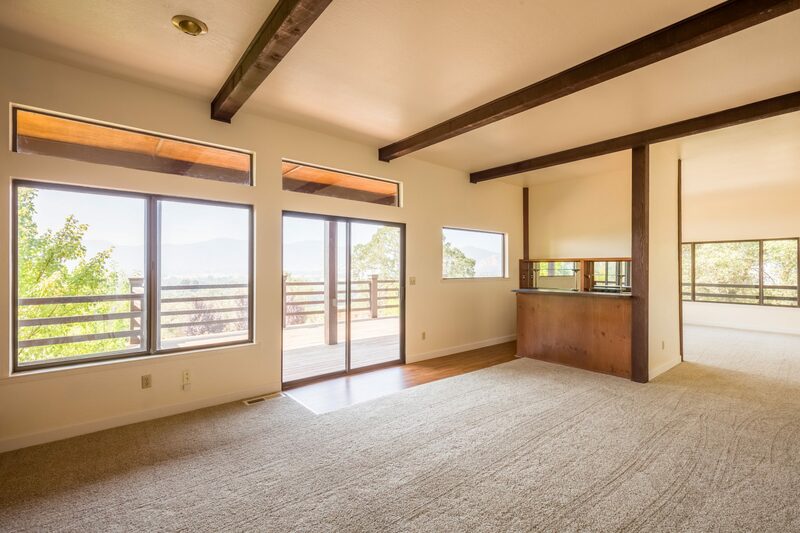 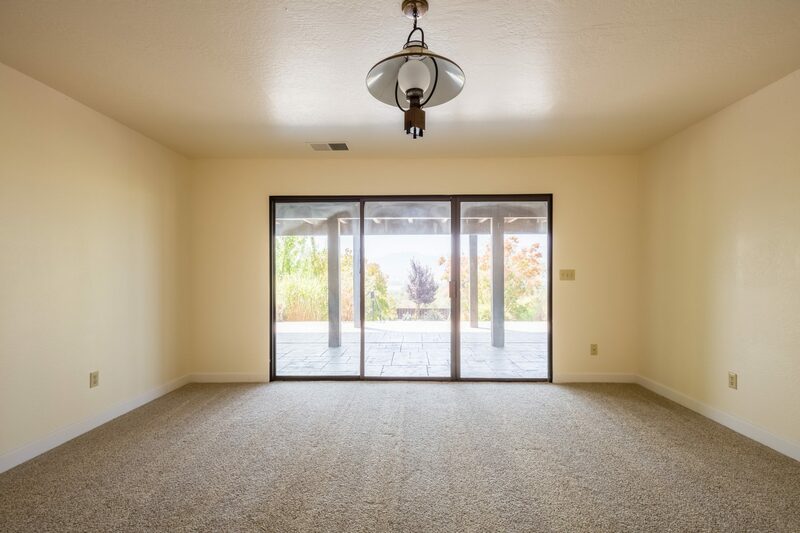 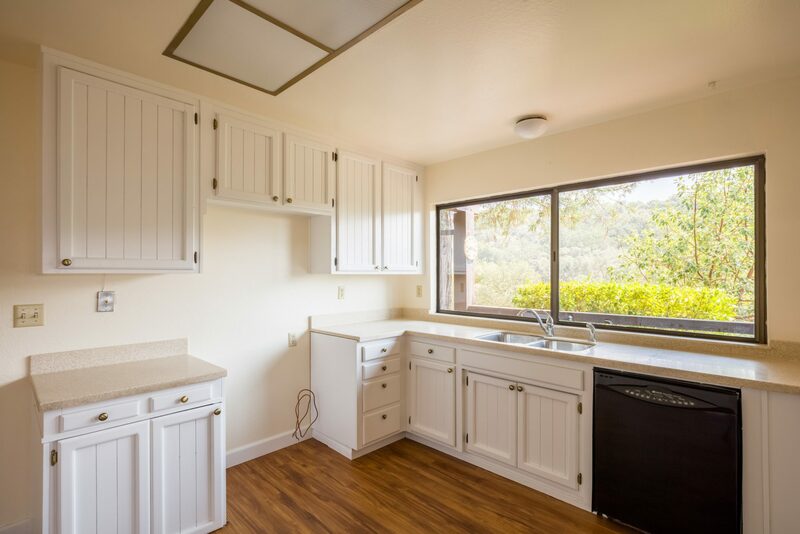 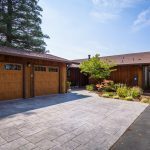 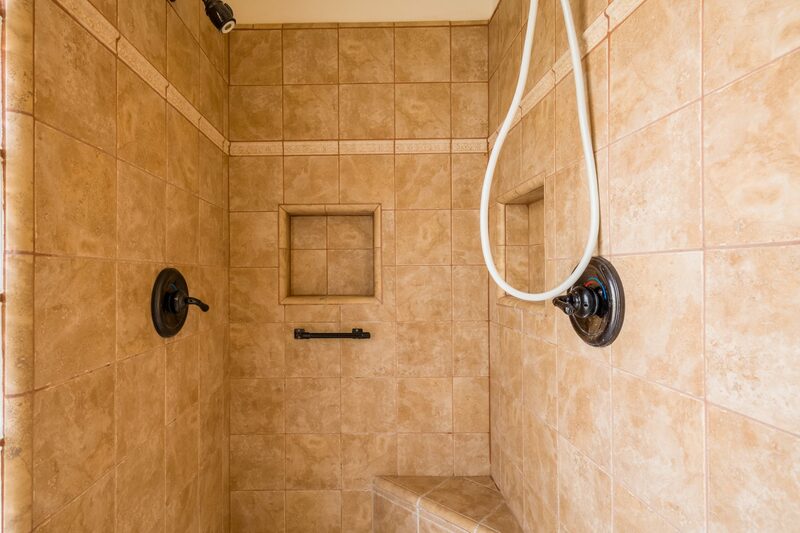 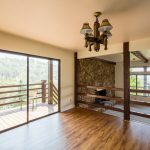 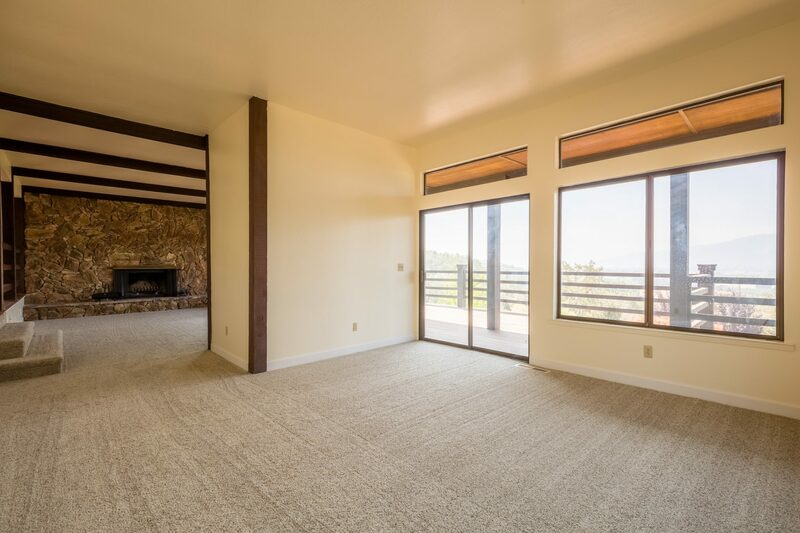 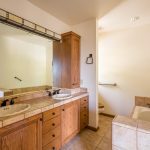 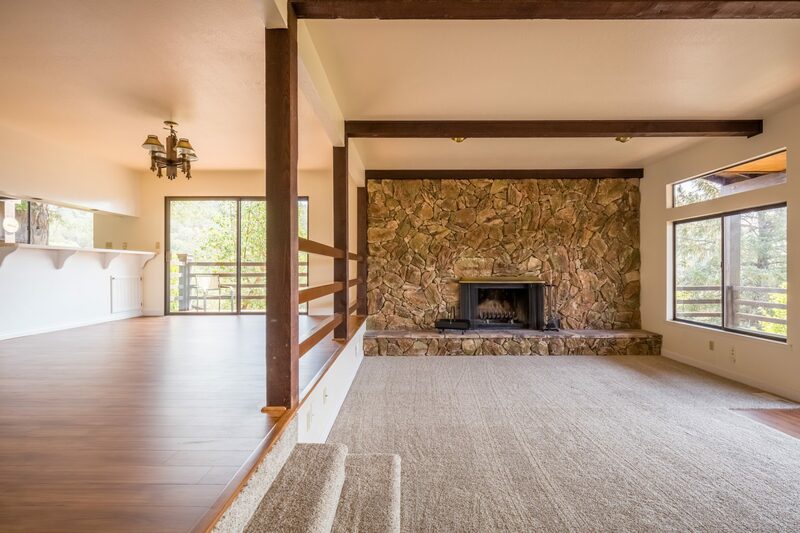 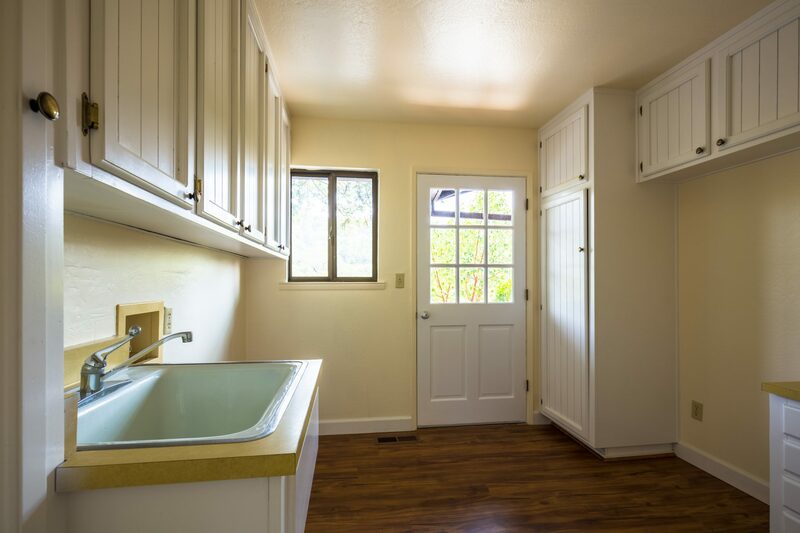 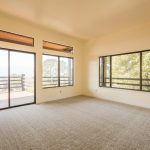 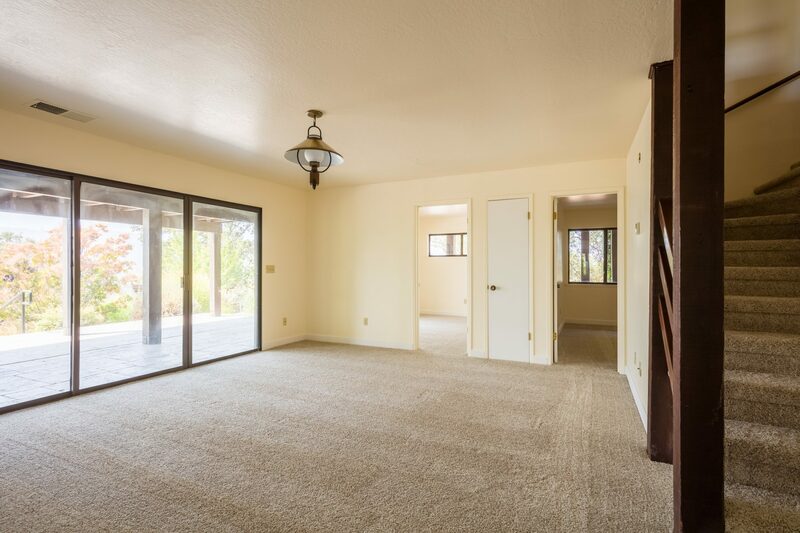 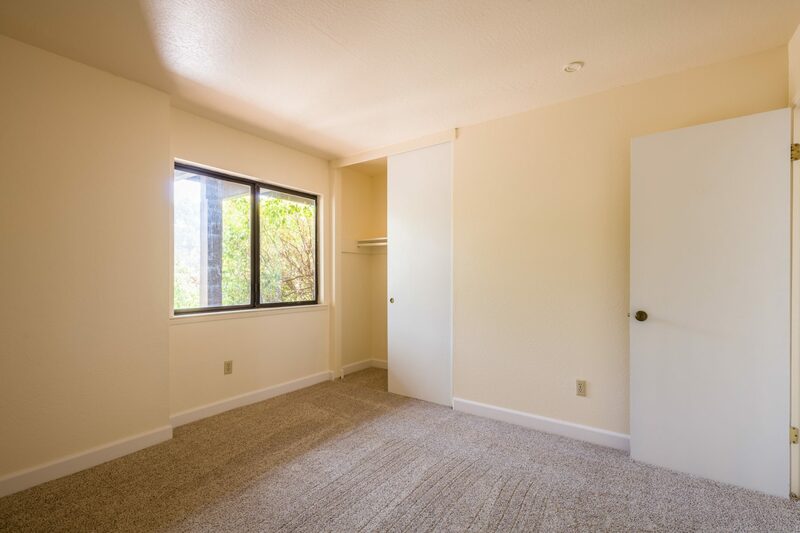 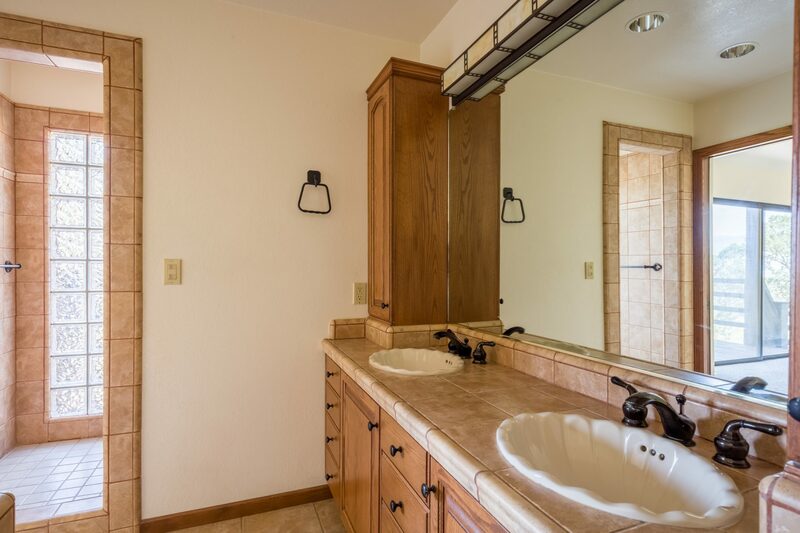 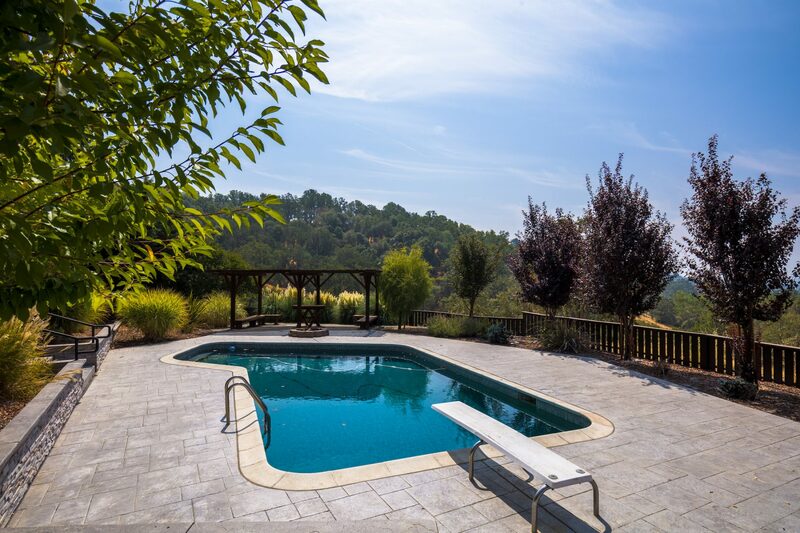 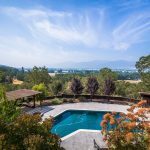 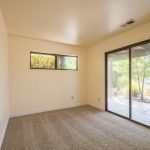 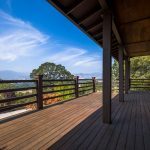 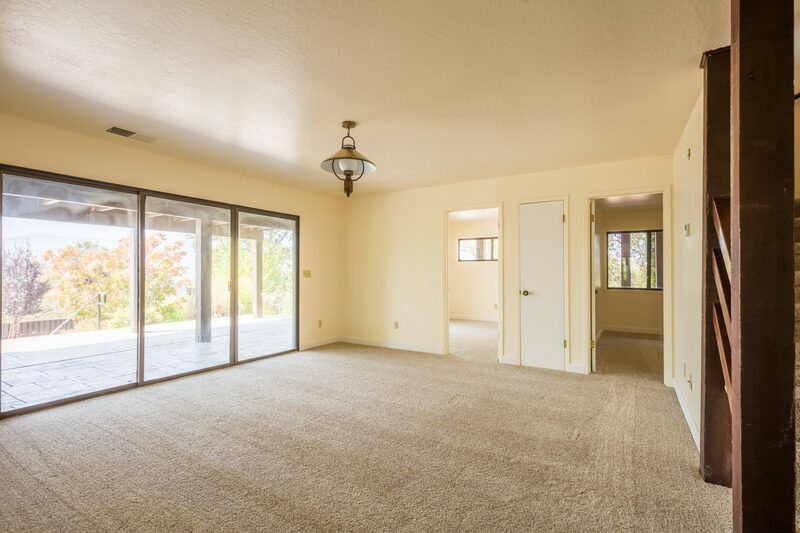 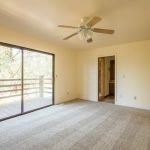 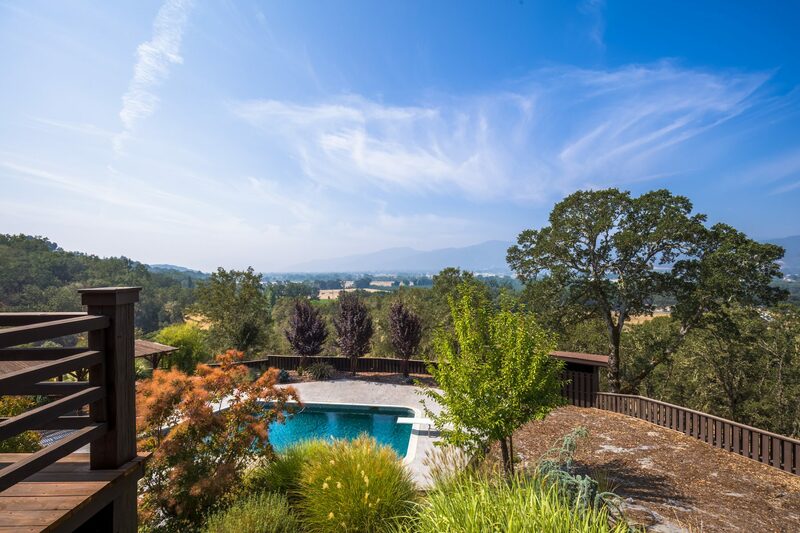 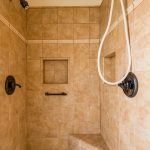 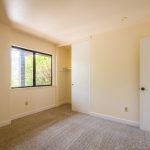 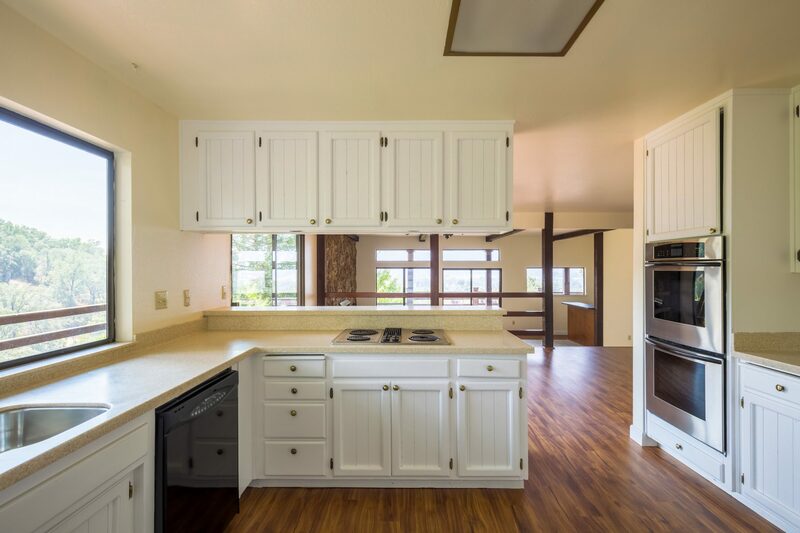 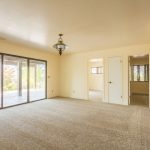 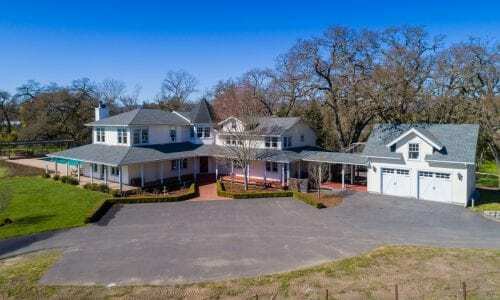 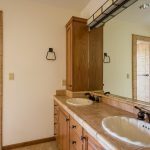 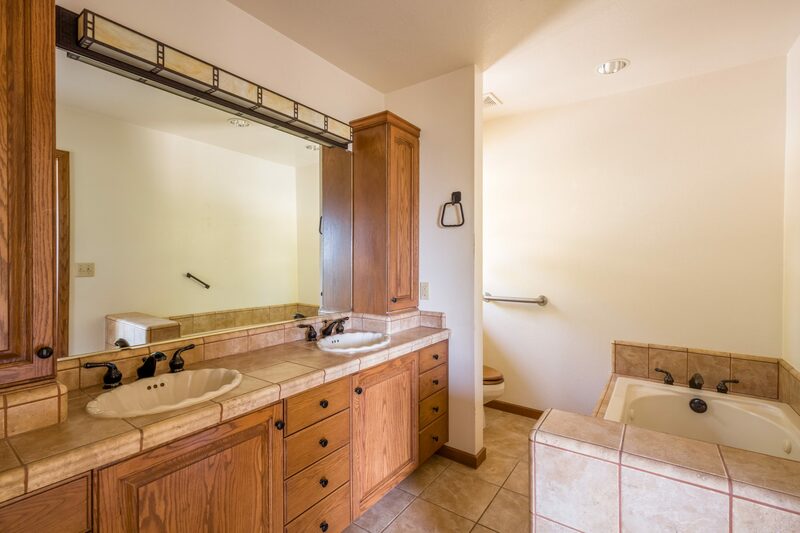 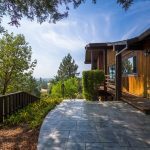 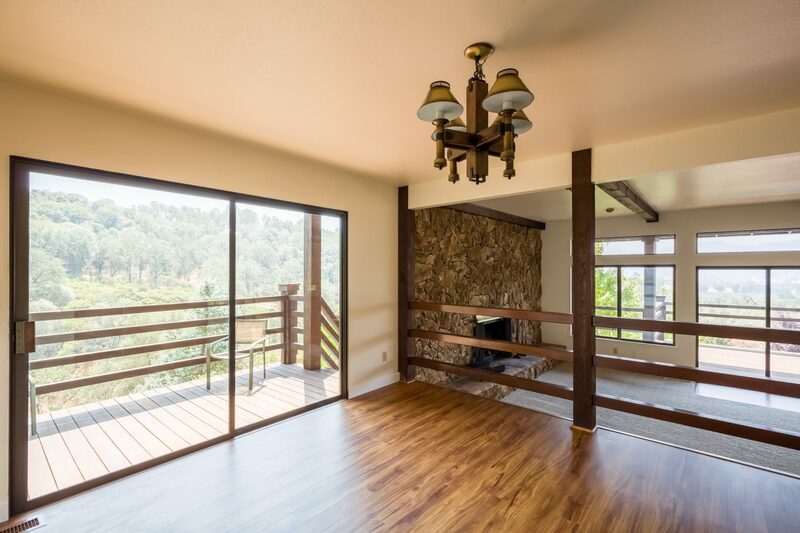 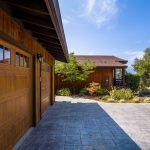 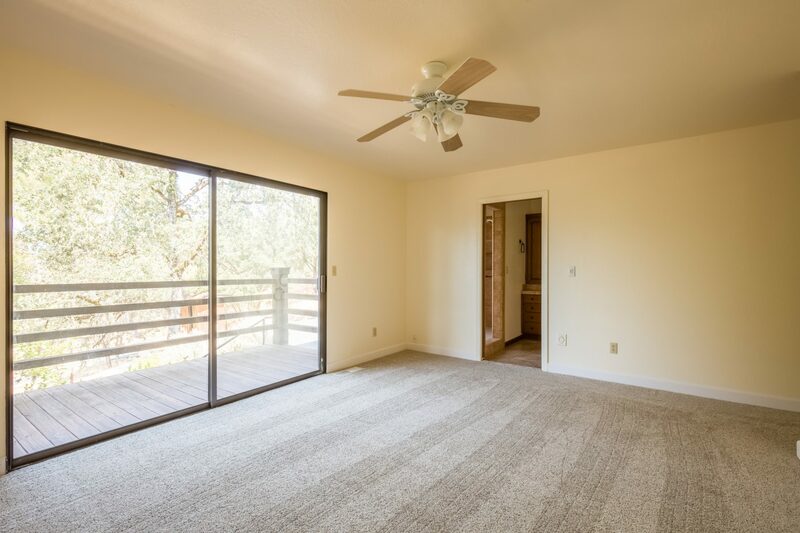 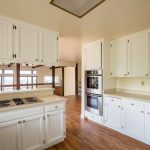 There is room for horses, toys, and additional plantable acreage all minutes from the City of Ukiah. 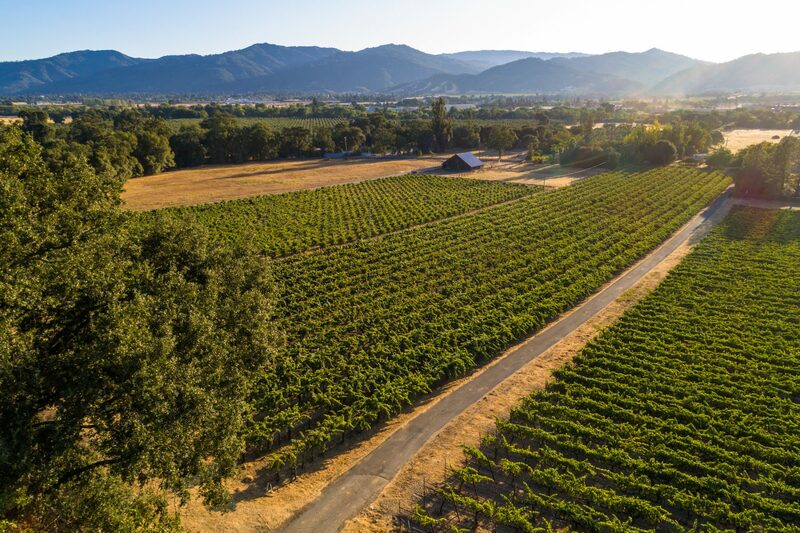 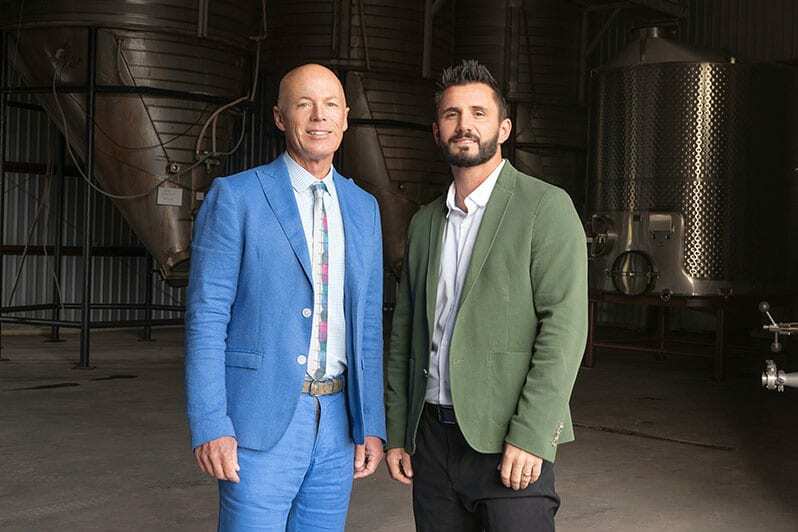 Cabernet Sauvignon – The Cabernet Sauvnignon block was originally planted to Chenin Blanc on St. George rootstock in 1978. 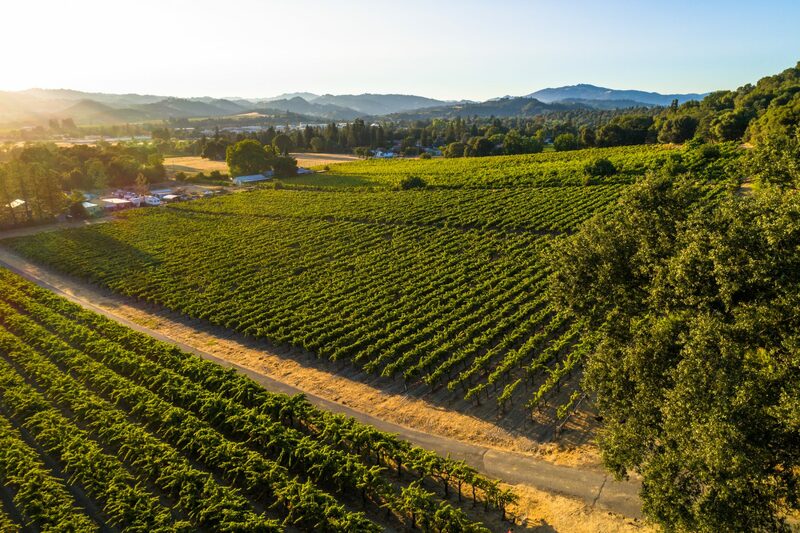 In 1991 the Chenin Blanc was t-budded to Cabernet Sauvnignon using clones 07, 337, and Sees (Clone 30). 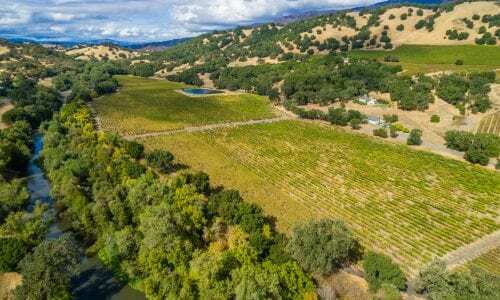 Zinfandel – The Zinfandel is made up of 4 plantings. 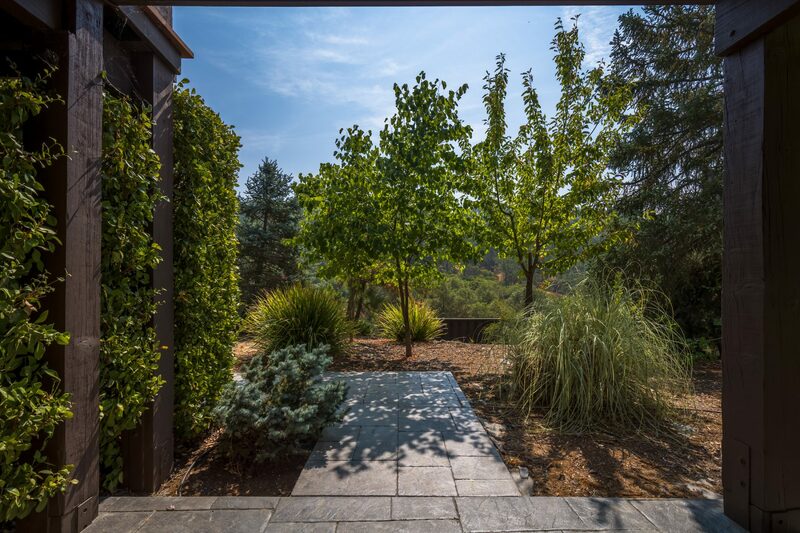 2 plantings from 1960, and 2 plantings from 1976. 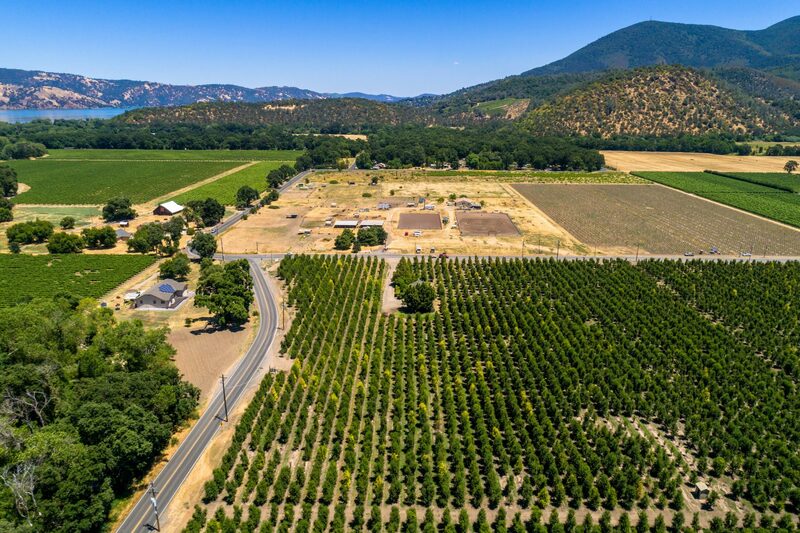 The northeast corner was planted to Carignane on St. George rootstock in 1960 and t-budded to Zinfandel clone 06 in 1978. 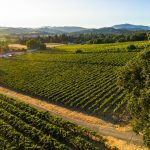 The northwest corner was planted to French Colombard on St. George rootstock in 1960 and t-budded to Zinfandel clone 06 in 1978. 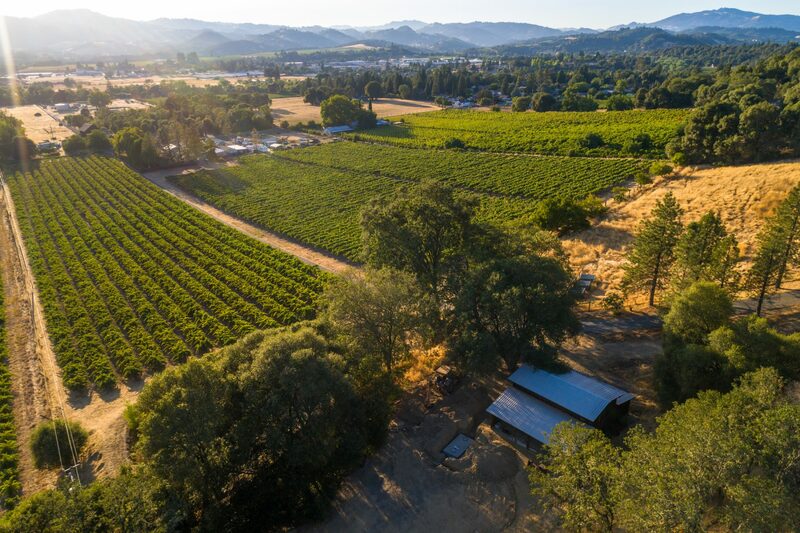 The middle block and the south block were planted to Zinfandel clone 06 on St. George rootstock in 1978.